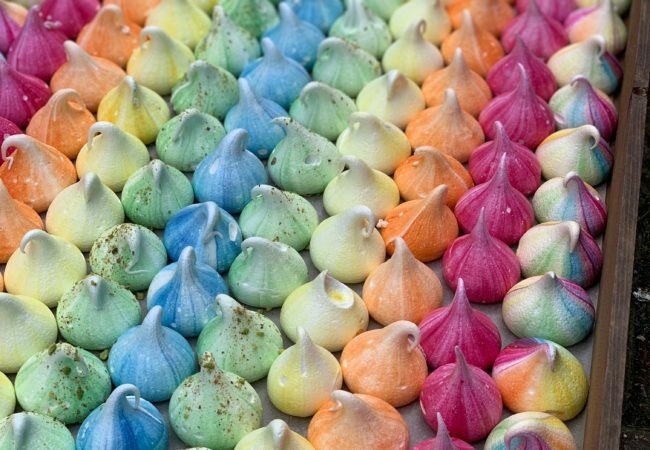 Our signature rainbow meringues – but totally vegan! These babies are made with aqaufaba (chick pea water) – and are amazing! 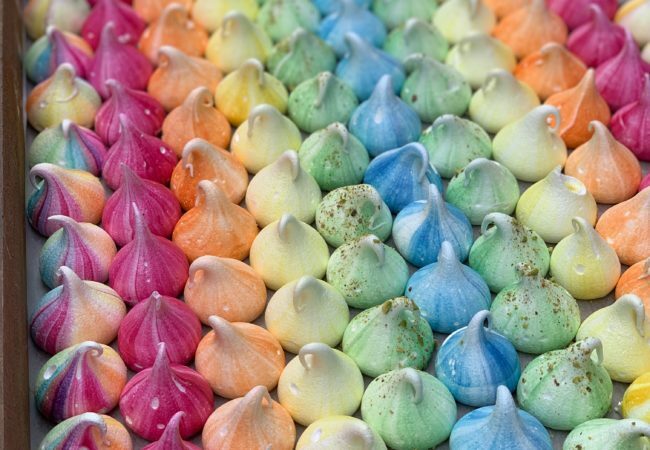 The colours are also all natural – made from fruit & veg colours! 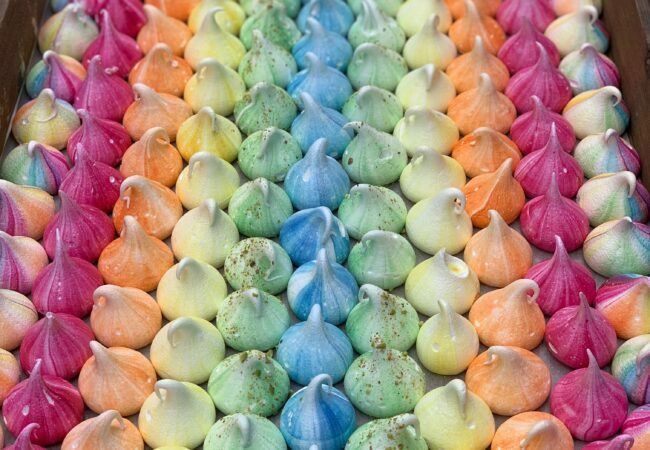 Flavours in the crate are caramel, raspberry, passion fruit, lemon sherbet, pistachio & rose, and gin & tonic!